The kids have been playing with these magnetic tiles all week. As someone who tries hard to adhere to a minimalist philosophy in all parts of life, even if at times I fail, my kids do not have an insane amount of toys like I see some friends or relatives have for their children. It's a work in progress as we try to donate toys often and keep only those things we all truly love, that offer something constructive and don't simply fill the void. Occasionally we make those impulse buys but rarely are they long lasting or cherished toys. I like to buy things for the kids that add to collections they already have, more legos for my son or doll accessories for my daughter's dolls, this encourages them to play more with the toys they already have. 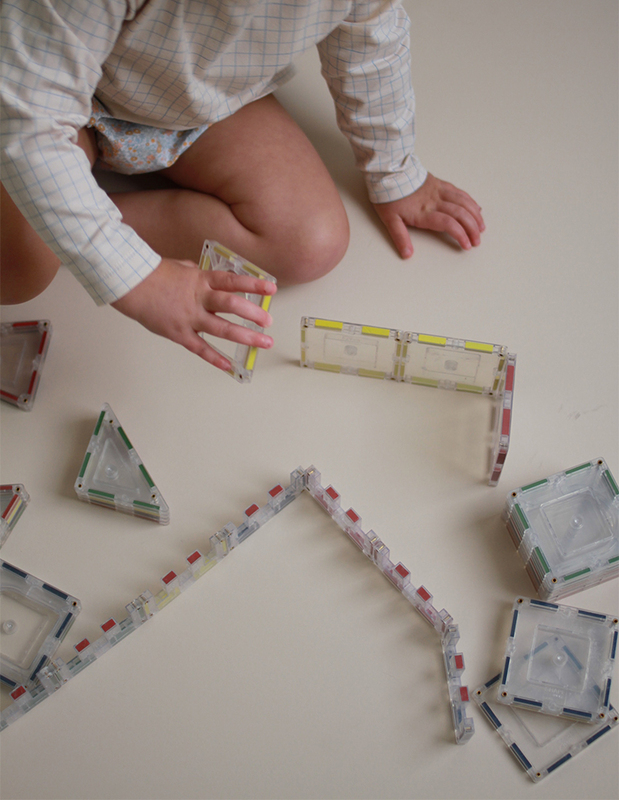 Toys that the kids can play with quietly are especially valuable, the kind that require a bit of problem solving and creativity like building or pretending. 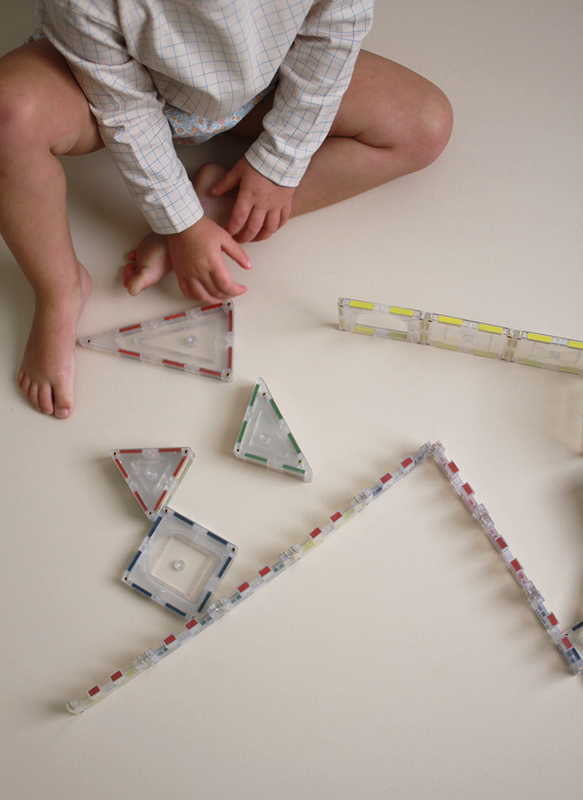 This is one of the reasons I like to see my two playing with these magnetic stick and stack tiles. My son already had a set of these from last Christmas but we recently got to add to his collection with a transparent set that has just enough pieces to make a big igloo and fence, or whatever you want to make! I tried making the igloo to show you but my youngest just enjoys stacking them so much that it was disassembled by the time I grabbed my camera.